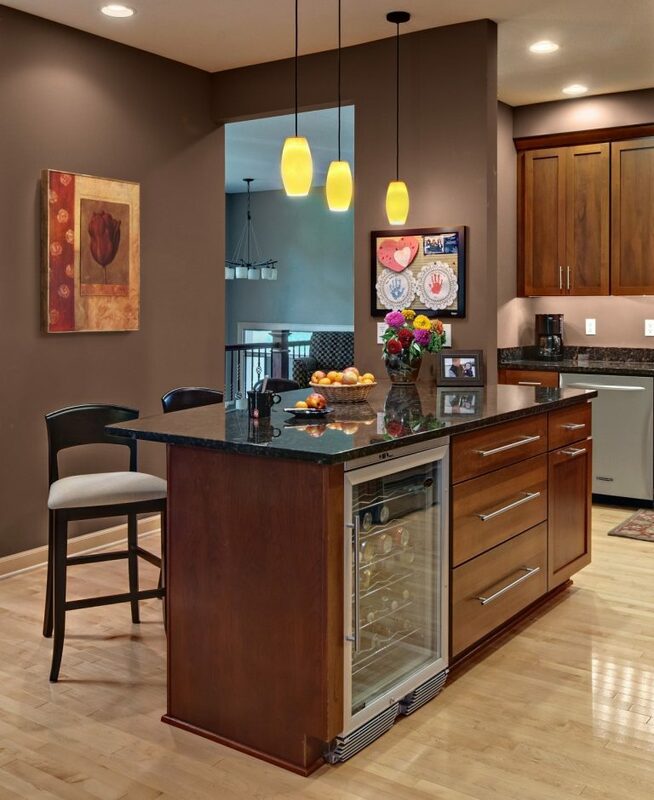 Cooking has always been a tasteful activity, but it depends on the ambiance given by your kitchen. If you are surrounded by good-looking, wonderful kitchen backsplash, then cooking will always be amazing for you. That is why it is necessary for you, who make cooking as a hobby, to update yourself on the wonderful kitchen backsplash ideas. That black and honey barn wood will never get old to give a simple and minimalist look for your kitchen. Since it comes with the dark colors, so it won’t easily look dull and dusty. If you are too busy with your activities and don’t have too much time to clean your kitchen, you have to choose this style. Combined with white wood cabinets and white marble countertops, the ambiance of this kitchen is so calm that you want to stay there forever. 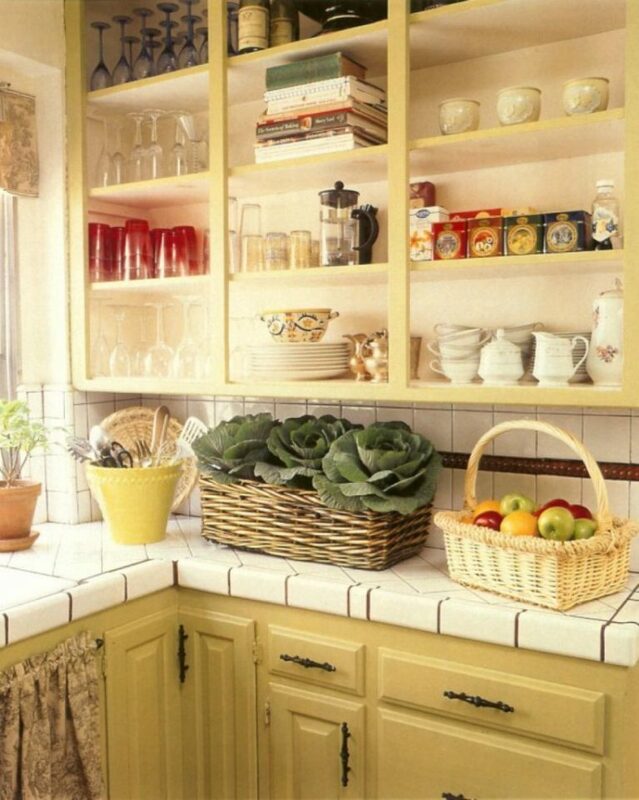 Moreover, that barn wood kitchen backsplash will make the kitchen not too dazzled and hurts your eyes as well. 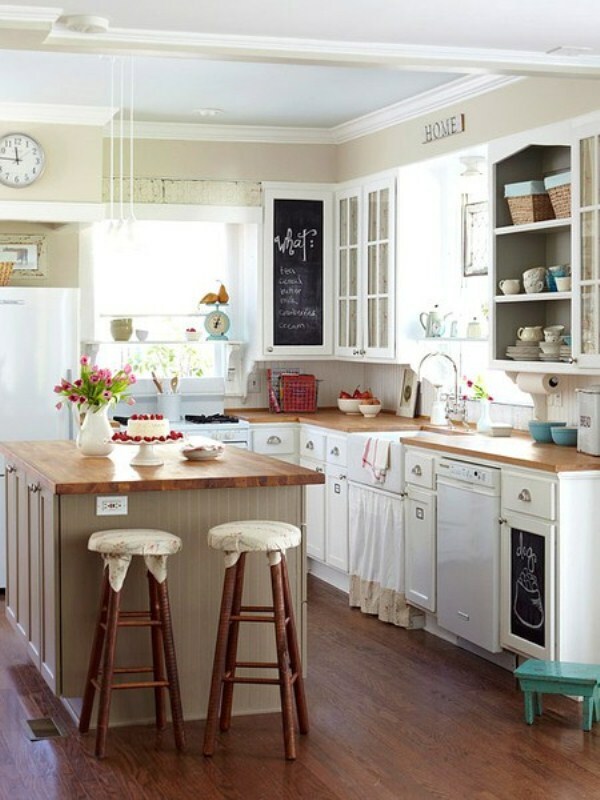 Do you adore a feminine-look kitchen that is so classic and bring you into the 80s? You will fall in love with the kitchen surrounded by floral wallpaper kitchen backsplash. The kitchen looks so pretty and so sweet that it can be all the chefs’ sweetheart. 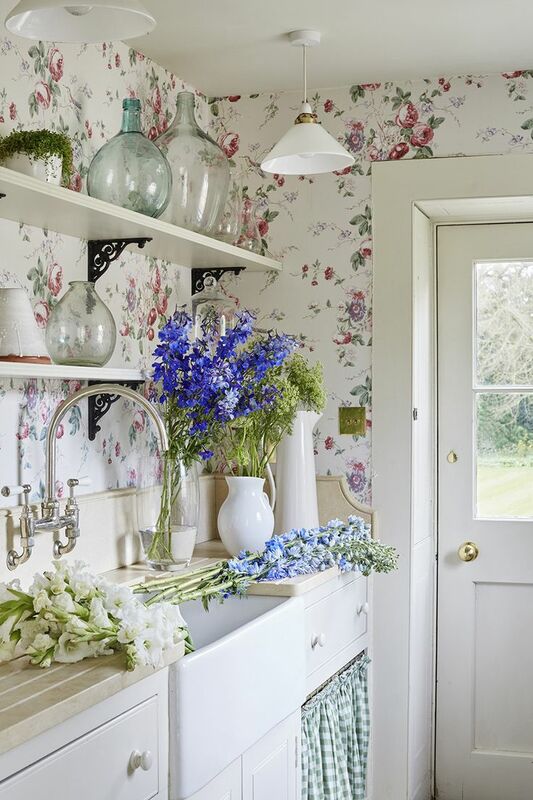 The flowered wallpaper is perfectly put together with all white cabinets, floating shelves, and also the door with four bars window. It is so delightful, too pleasant especially if you have a daughter. You will have so much fun to spend together in the kitchen and you can experience with many good foods there. Are you a modern person who love a simple design but don’t want to lose the elegance? This kitchen backsplash idea is really made for you. Once you enter the kitchen, you will feel like you are going with a time machine to the future, where every single space is glass-walled. The use of glass is to reflect the lights come from the outside (natural light), or from the artificial light or the lamp. 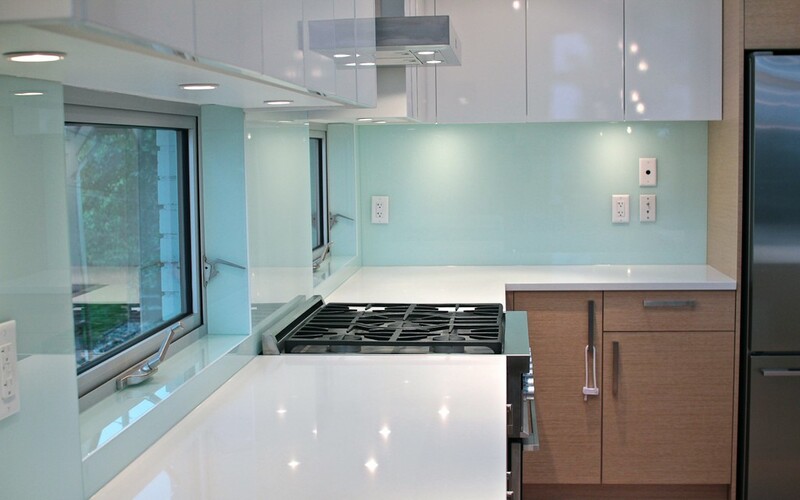 That is the reason why kitchen with glass backsplash is looked wider and more spacious. However, remember not to pick too shiny lamp or it will disturb you when you cook. 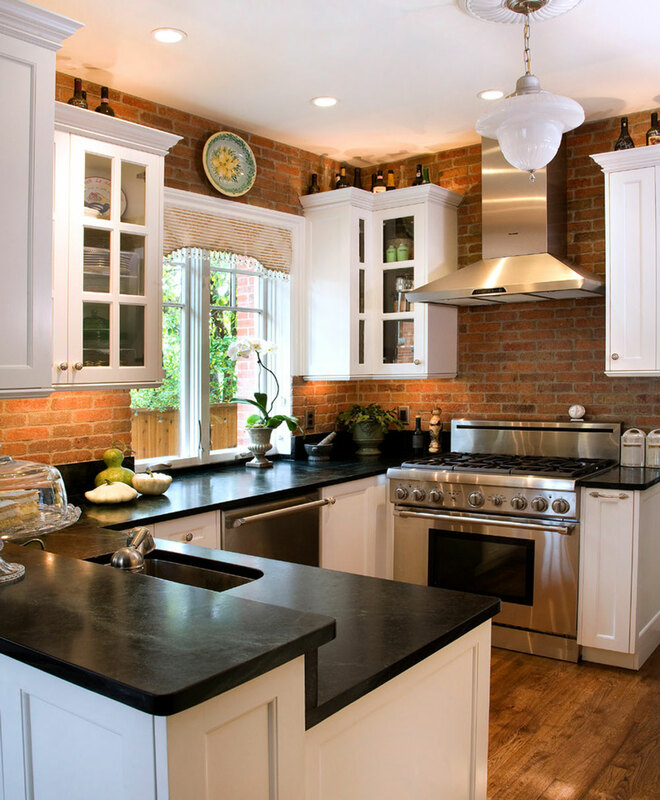 To enhance the classic look of your kitchen, you can pick black subway tile for the kitchen backsplash. This kitchen backsplash is not only easy to install, but also low-cost and easy to find in every hardware store. If someday one of the ceramic is broken or damaged, you can easily change it. This kitchen backsplash really best combined with white cabinet and stainless-steel refrigerator to give a minimalist impression. 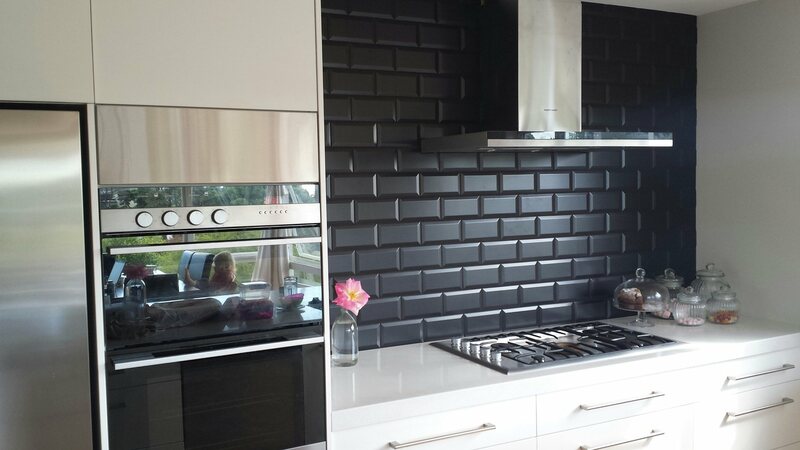 And if you are too busy to clean your kitchen, you can choose the black subway tile since it is not easy to be dirty and also easy to clean. 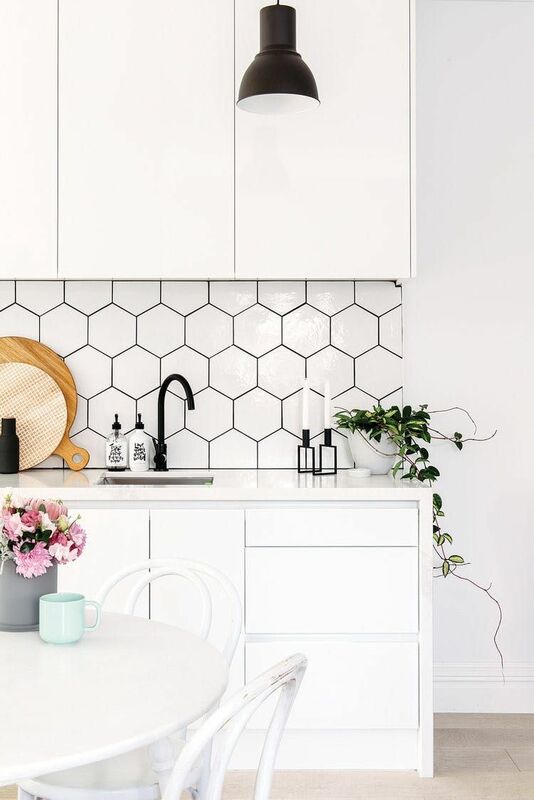 This hexagonal tile backsplash is such a good thing to give texture to your kitchen. With the black lines on the edge of the tile, your kitchen backsplash will look more modern and more spacious. Also, this is the creative way to design your kitchen so it won’t look too boring and is different from another regular kitchen. Combined it with white cabinets and table, you will have a minimalist but edgy look that is good not only as a place to cook food, but also place for gathering or for your sanctuary while you are so tired of the world. Look at this kitchen. You will find it is so heartwarming that you want to spend your time with your family in the weekend. Thanks to the backsplash made from brown and black bricks that gives the warmness. 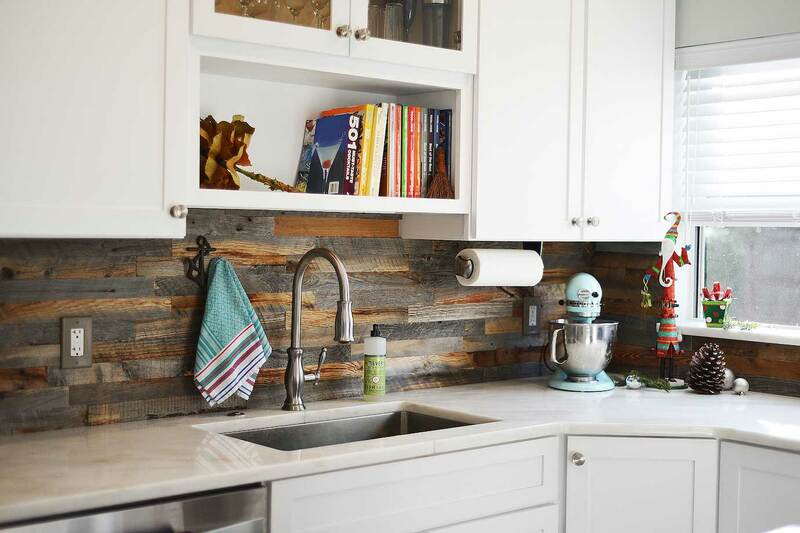 This kitchen backsplash can suit every house’s theme: from modern to traditional, from rustic to minimalist. Bricks are so universal, and actually so easy to install. You can combine it also with the distressed wood furniture, honey wood furniture, stainless-steel furniture, and also white modern furniture. Thanks to the familial nuance that brought by the bricks, this kitchen is multifunction. Not only as a place for cooking but also the place for family gathering or to invite your friend to a small party inside your house. All those kitchen backsplash ideas mentioned above have been so thematic that you do not need to add too much decoration. That will save your time and also your money, moreover if you are low on budget. So, who says that magnificent kitchen backsplash needs too much effort and always be expensive? As long as you are creative enough, you can get the best with less effort.